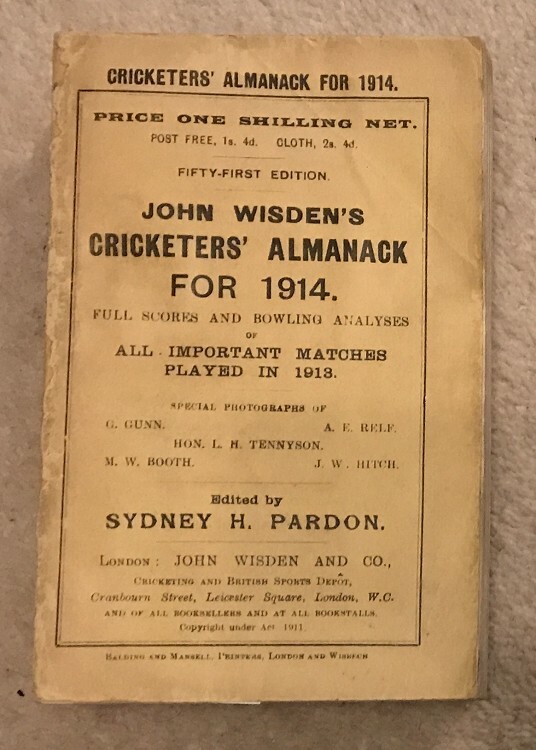 This lot is a 1914 Original Paperback Wisden. It is in Good to Very Good Condition, it would be incredible but there are two issues to note. The first is that there has been some restoration to the spine the second is that the front cover and the first few pages have a diagonal fold as shown. Otherwise the covers are bright and clean, the pages nice and white, tightly bound with a great photoplate.